I could spend hours sitting at a cafe in Paris, with a glass of wine or a cup of coffee. I guess both if you sit there long enough. 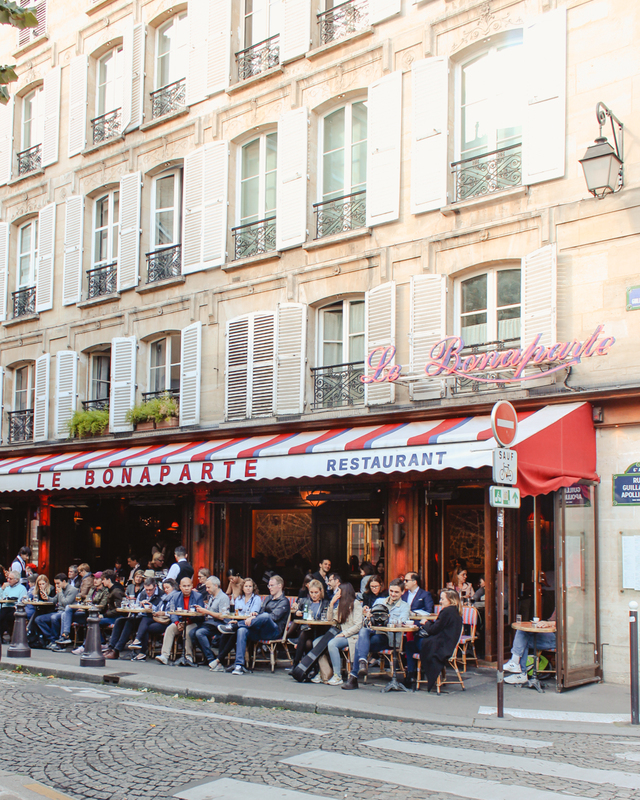 A cafe in Paris can be a place that serves coffee and croissants or sometimes they’ll serve French classics like an omelette or croque monsieur. 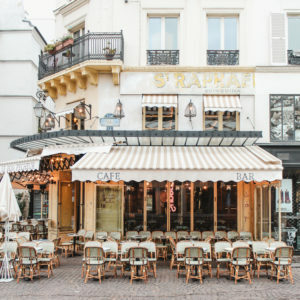 By nightfall, the place can become a bar where Parisians relax on the outdoor terrace in rattan chairs while they drink rosé and chain smoke. The cafe in France can be so many things, serving different things at different times of day. 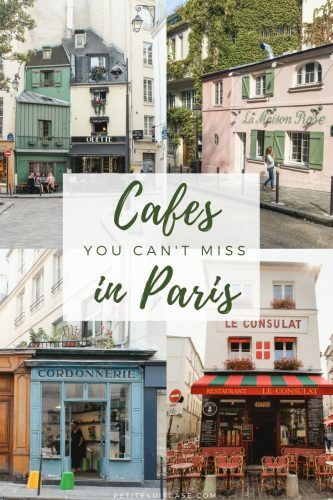 I’ve acquired a few favorites over the years of visiting the City of Lights and there’s simply a few cafes you can’t miss in Paris. You’ve most likely seen The Hoxton and its stunning interiors pop up on your instagram feed. The small hotel group is known for exquisitely styled hotels in the hippest cities. 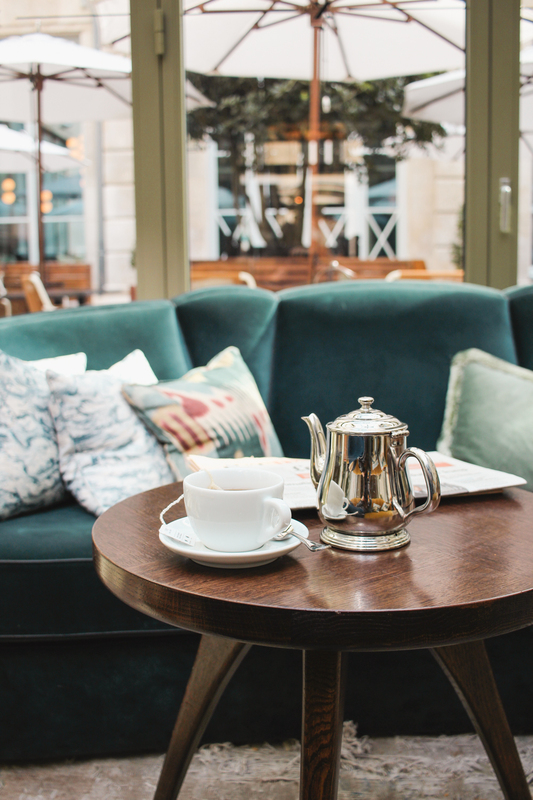 You don’t have to stay at the hotel to enjoy a hot tea or coffee inside their bright and beautifully furnished cafe. I opted for a midday tea, but I’d return for evening cocktails in a heartbeat. 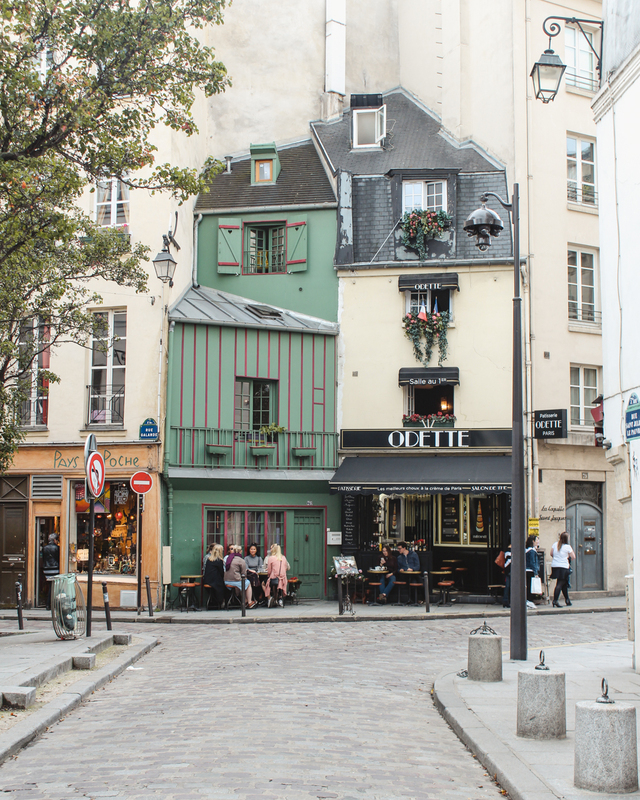 If you’re in Montemartre, you absolutely have to stroll by this insta famous cafe where Picasso and Van Gogh used to visit. The famous pink house on the corner has been serving coffee for over 100 years. Never to me however, because it was under construction every time I was in Paris. I majored in Art History and find this building’s history fascinating. 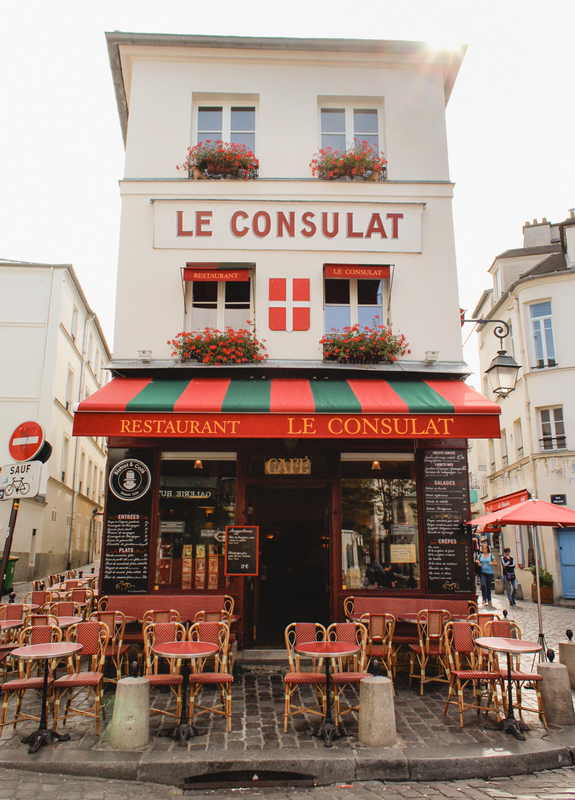 Read the full story of this cafe you can’t miss in Paris on Montmartre Addicts (link to English translation at the bottom, or translate using Chrome). Situated right up the hill and in the heart of the artists’ district, you’ll find another cafe frequented by famous painters and writers. 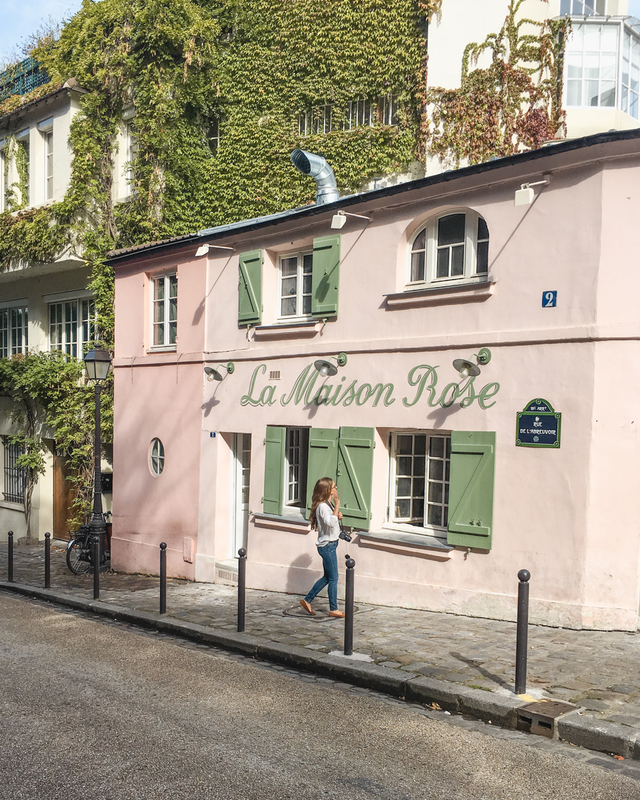 In peak tourist season, it would be impossible to get a seat… which is another reason I prefer Paris in the fall. 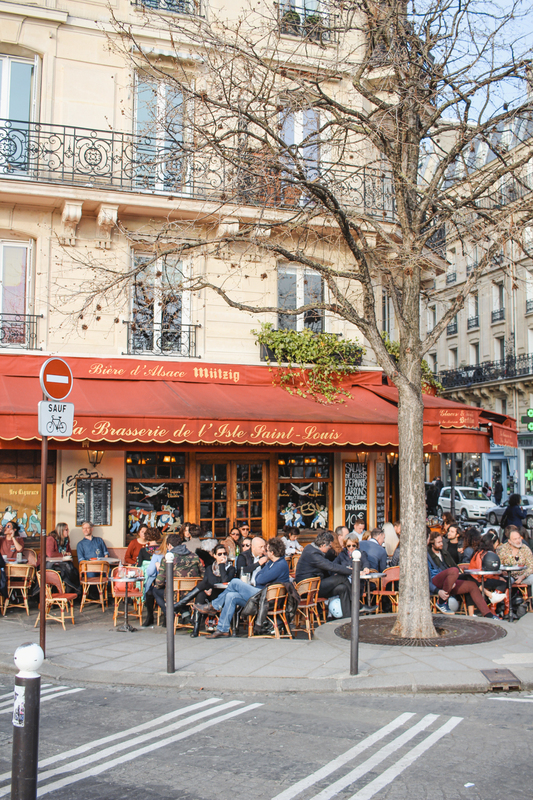 Perfect cafe for people watching on a corner in the heart of the Saint Germain district. Le Bonaparte is a great choice for anytime of day. I’ve stopped here for a coffee on a quick layover in Paris, but I’ve also leisurely drank a bottle of rosé with my mom on a sunny afternoon. 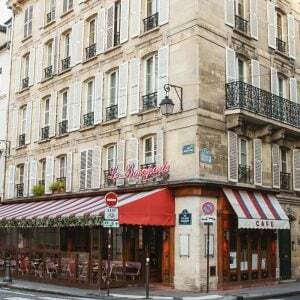 You’ll also find the famous cafes Les Deux Magots and Cafe de Flore right around the corner if you’re feeling extra fancy. 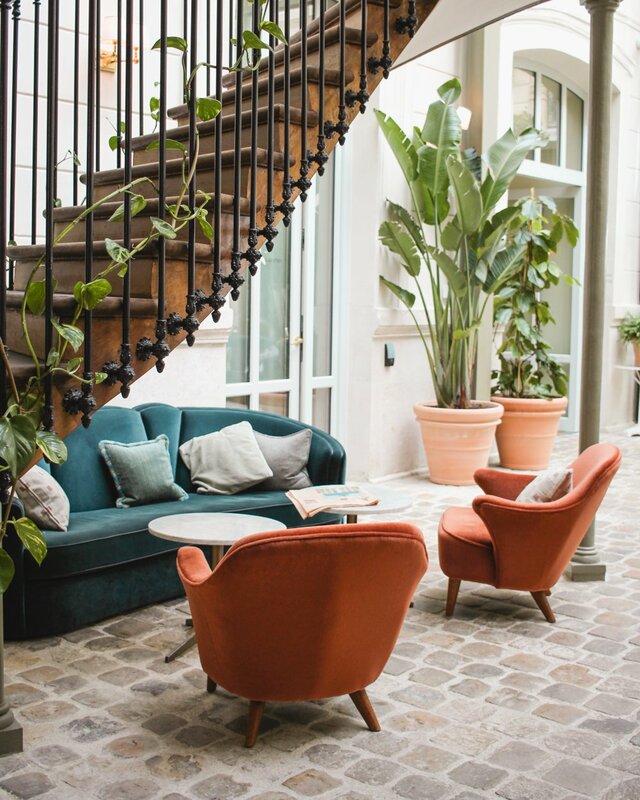 Locals and tourist alike flock to Merci for their extensive linen collection, leather goods and home furnishings. 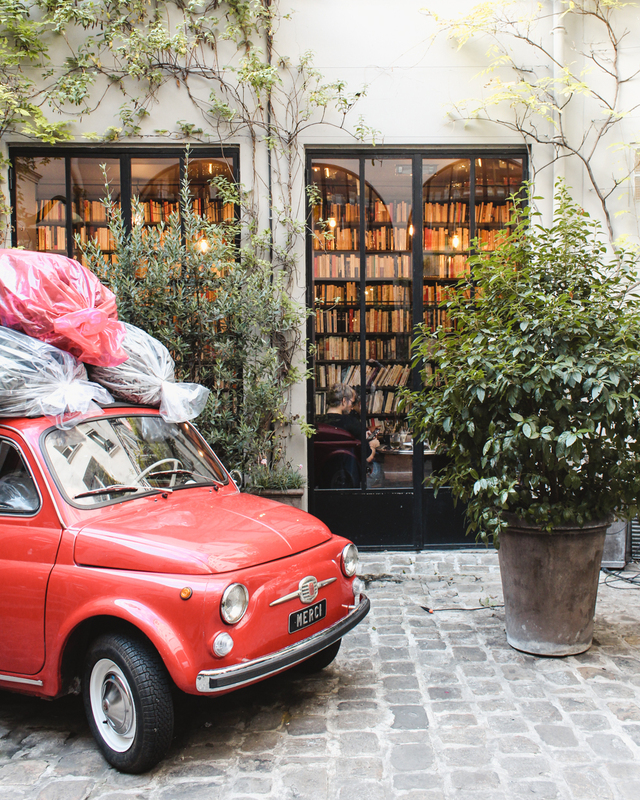 However, one could easily stroll right on by that cute vintage Fiat in the courtyard and not realize there’s also a cafe at the front of the store. But now you’re in the know, and will be able to get a quick caffeine jolt before you tackle the Merci medallion section. I went here for the gluten free pastries and a warm tea, but stayed for the cozy atmosphere on a rainy afternoon in early spring. 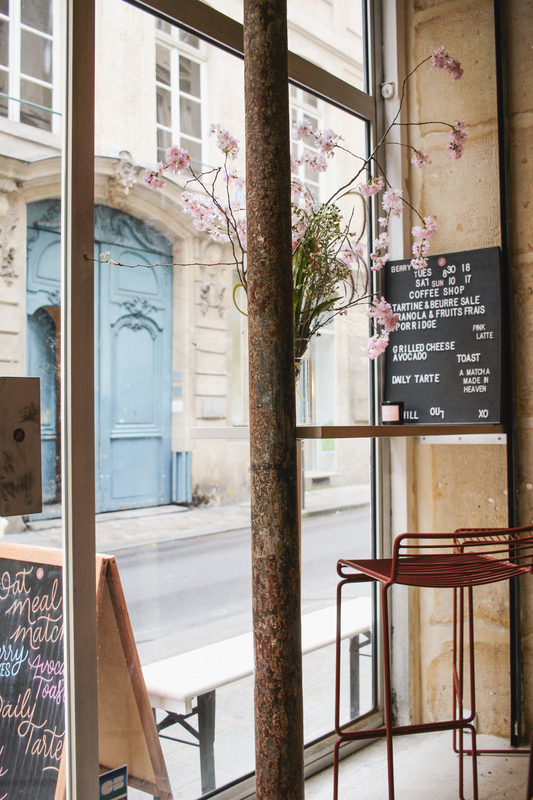 If you’re gluten free, this is a cafe you can’t miss in Paris. I got a pear tart with an almond crust and it was memorable. 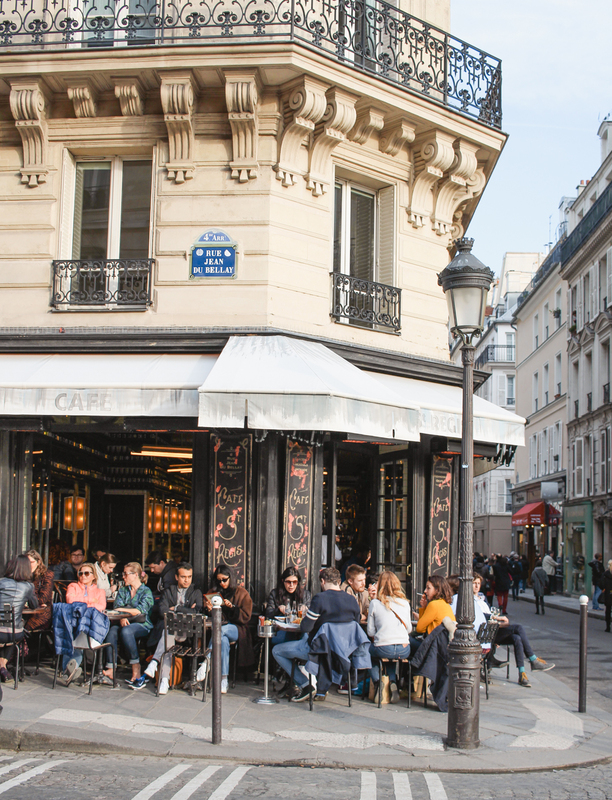 Café Mericourt is a trendy yet casual breakfast spot in the Oberkampf district and the best place to get shakshuka in Paris. As with most culinary experiences in Paris, I really treasured breakfast here. There’s only about 7 or 8 things on the breakfast menu and that’s what I love. They’ve really mastered their select dishes and coffee. I ate it too fast to take a picture, but you can drool over a few snaps on their Instagram. I simply love the interior of this cafe with its vintage telephones mounted on subway tiles and classic rattan chairs. Cafe Charlot is another one of those cafes in Paris that’s good place to stop at all times of day. I’ve been there in the morning for coffee, an omelette for a late lunch and at night for wine. 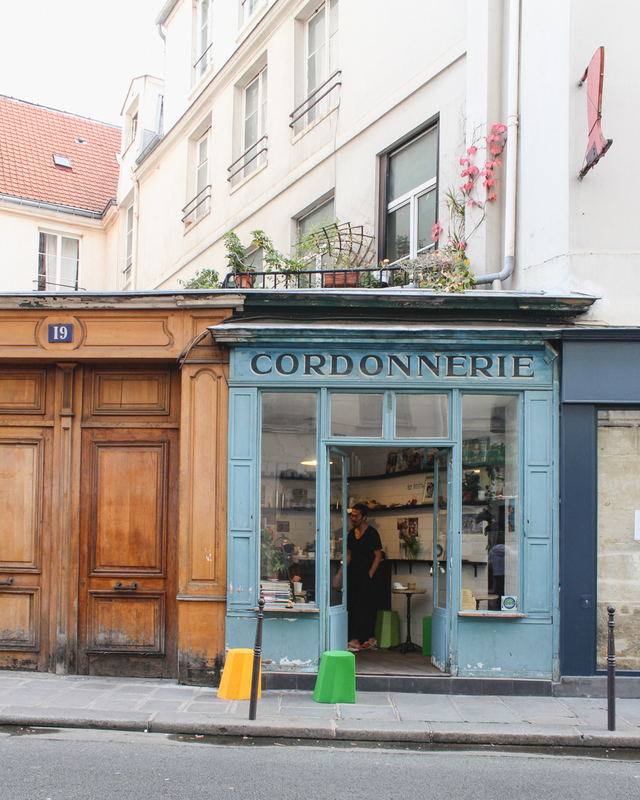 If you follow Parisian bloggers, you’ve undoubtedly seen this cute facade pop up in your feed on Instagram. 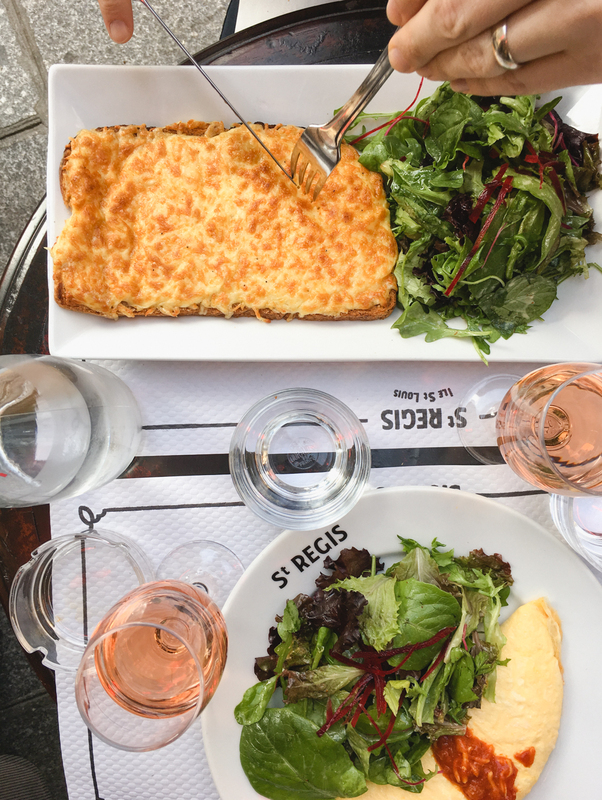 This cafe is more of a bistro with classic French dishes, but I go here every time I visit and therefore can’t neglect to include it on a Paris post. It also has “cafe” in the title, so it’s completely reasonable. 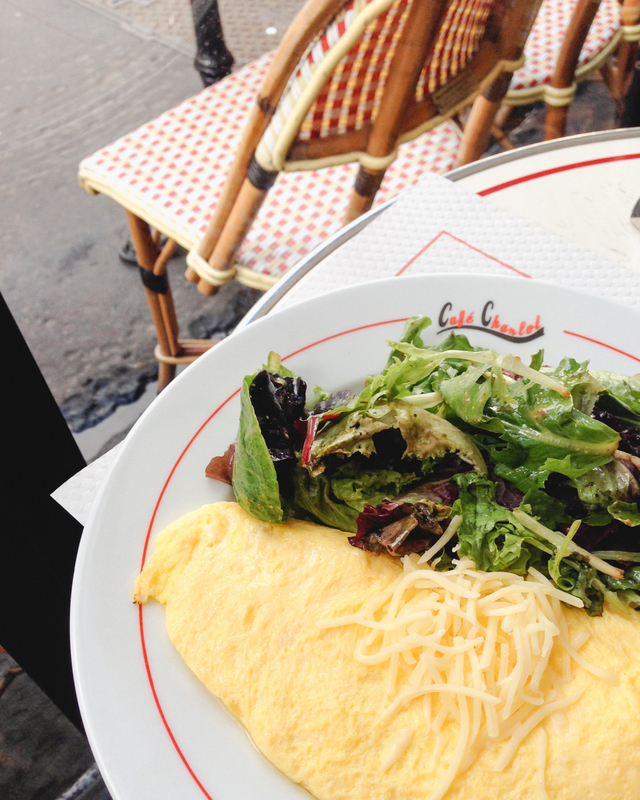 I always get the omelette and sit on the corner terrace facing the quaint intersection before Pont Saint Louis. Last time I went, I overheard an older couple talking about how they’ve come to Paris every year since they retired, staying 2-3 weeks each time. I suddenly wanted to be in my 70s, deep into retirement. I passed some time at the Loustic Cafe before I got on the Les Halles RER to catch my plane home. It’s a very cute cafe and I enjoyed sitting in the rattan chairs in the front window. 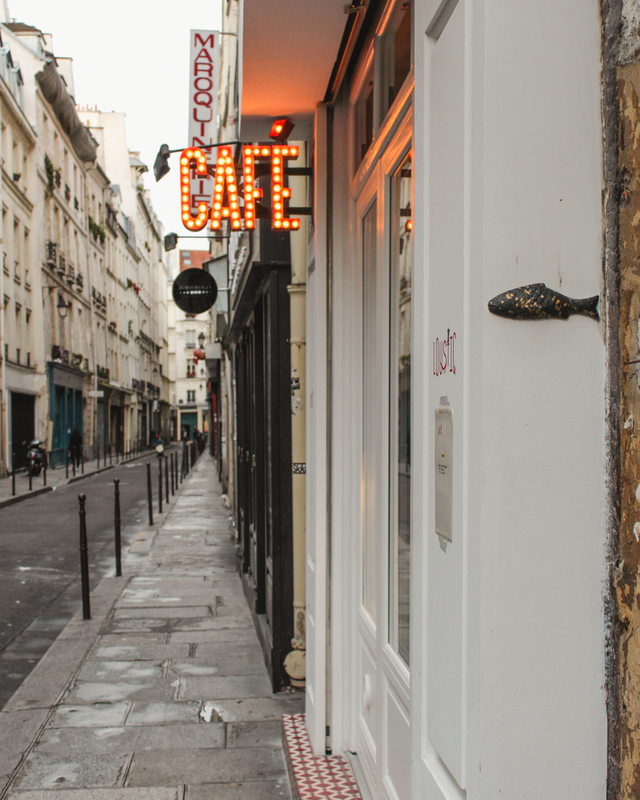 It’s easy to spot the red CAFE sign down the narrow Rue Chapon. 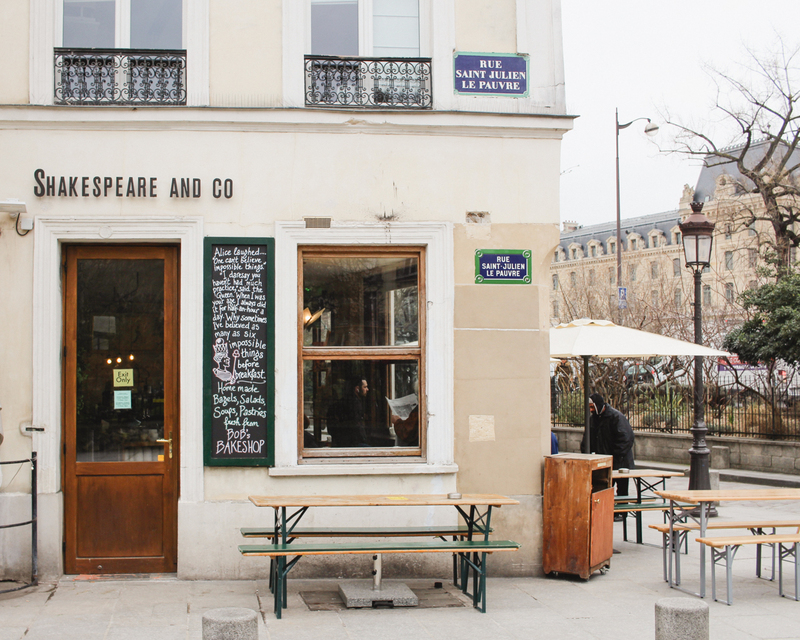 You can’t miss this cafe in Paris right around the corner from the famous Shakespeare and Co. bookstore (and newly opened cafe!). I’d say Odette could quite possibly win the “Cafe with the Most Charming Facade” Award. 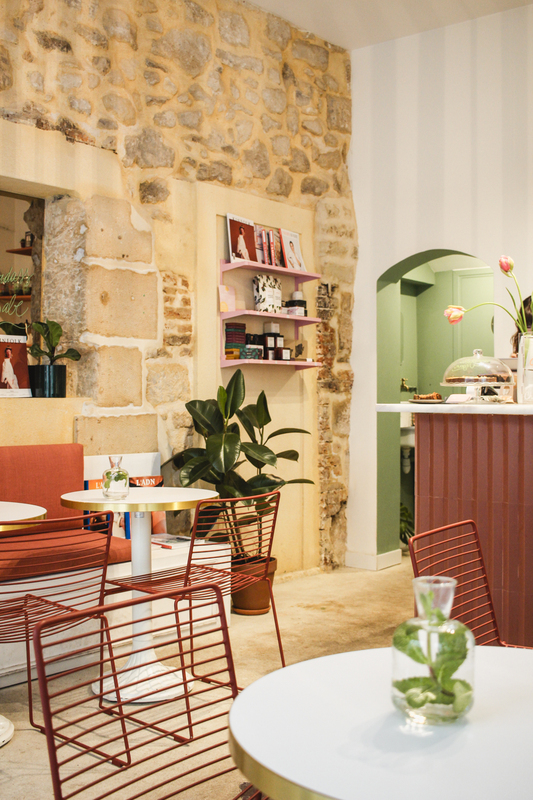 Cafe Kitsune is the hip coffee spot in Jardin Du Palais Royal. Their logos and matcha lattes are insta famous. Take a coffee to go and sit on a bench in the garden. Are there any I missed? 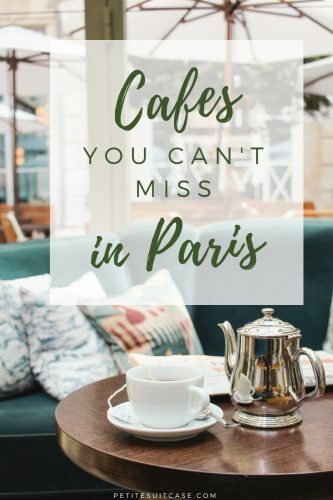 Where is your favorite cafe in Paris? Oh, I’m so jealous! Can’t wait to see your photos. Have an amazing trip!